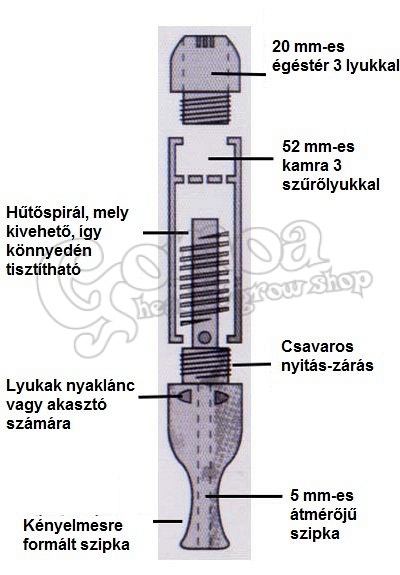 Ezt a terméket eddig 74 alkalommal vásárolták meg! Budbomb Clone MINI pipe is a compact 4 piece all-steel pipe! Budbomb Clone is indestructible and offers an amazing cooling system. Once the smoke travels through the chamber, it has to pass along the spiral centerpiece, thus cooling the smoke in seconds. The screw on bowl has 3 holes where the flame comes in contact, and a tiny hole integrated on the side of the bowl to draw cool air. Furthermore, the Budbomb Clone’s inner built in filtration catches heavy particles allowing only clean smoke to pass through the body. This system eliminates the need for screens. 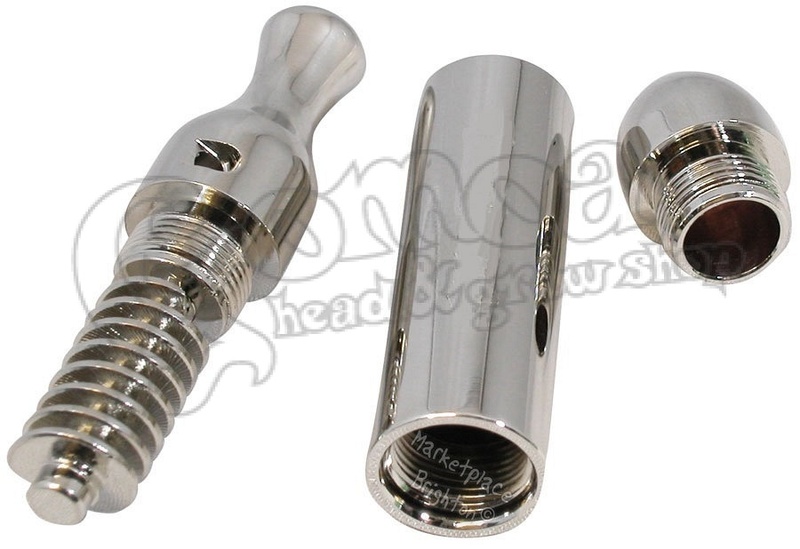 To clean Budbomb Clone, first unscrew the bowl, then the mouthpiece followed by the spiral centerpiece. The Budbomb comes apart in 10 seconds. The BudBomb Clone is a revolutionary design that has been designed for a cool, clean smoke. To enable this to occur the smoke needs to go through a cooling process. This is achieved by the precision made helix that runs through the center of the pipe. Upon inhaling the smoke, it has to travel around the airtight helix, through the circular corridor of the pipe. As the smoke has to travel such a great distance, it cools by the time it reaches your mouth. The BudBomb Clone can be broken down into four components. 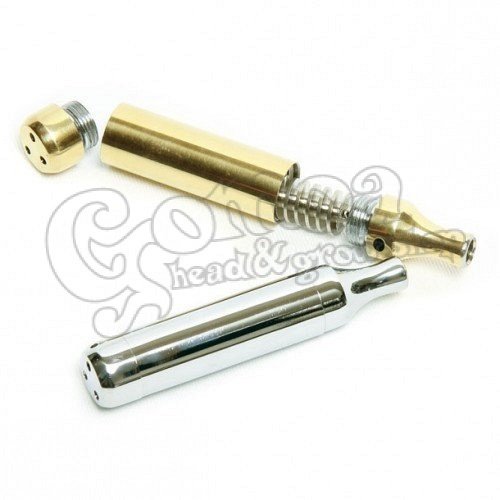 The mouthpiece, helix, main cover and the chamber where the tobacco is burned, these all separate with ease. To allow complete cleansing of heavy tars, separate the pipe and rinse in warm water. This will free any tar and allow you a smoother smoke. Worths every cent...plus, it's a really nice piece to vaporize manually, also it cools the smoke.